📌 More Bitcoin ETF Rejections, Crypto Psychology, and Ethereum = 💩? Here’s a pretty depressing alternative view on the long-term price recovery of bitcoin (BTC). It’s unbiased… not very glamorous… but certainly worth a quick read. ‘Login with Facebook’? 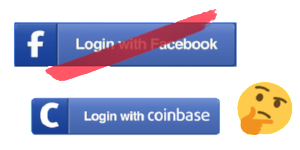 How about ‘Login with Coinbase’? You know all those times you’ve downloaded a new app, and it gives you the option to ‘Log into Facebook’ to create an account? What about having a similar feature for crypto dApps, but instead it reading ‘Login with Coinbase’? With it’s latest acquisition of Distributed Systems, Coinbase seems to be aiming for just that. Coinbase desires to create a ‘decentralized identity’ for a user, allowing you to prove you are who you say you are without running the risk of your identity being stolen or hacked (We’re looking at you Equifax). Here’s to the ones who swung for the fences last December and struck out. Have a buddy who bought his first bitcoin at $19K? Yeah, we do too. It hurts us to read these stories, but it’s also is a good reminder that following the FOMO is never a good idea. On the brighter side of things, Ryan Radloff of CoinShares has crunched the numbers to show that there are more than 99 million people who intend to own crypto… but don’t yet. As an increase in access points (trustworthy exchanges) add to the convenience and capacity for new capital to enter the market… Ryan gives us his bullish take on consumer/retail demand. Check out the article from Ryan on Medium here. Or for the more condensed version, you can view his Twitter thread here. Like any emergent phenomena, crypto is a battleground for narratives that compete to explain what’s happening, why it’s happening, and what might happen next. In this Deep Dive, one of our favorite thought leaders, Nathaniel Whittemore (who has a very underrated Twitter page btw), takes us through the various crypto narratives… explaining how they actually tend to represent forms of marketing. Ethereum: Double-digit piece of 💩? It’s safe to say that BitMEX’s CEO, Arthur Mayes, isn’t a fan of Ethereum (ETH). Hayes predicts the price of Ether will drop below $100 if and when everyone decides to sell at once. In an email sent out on August 14th, he ripped the coin after his exchange listed Ethereum only weeks earlier. Critics predictably responded unemphatically to his email, questioning his credibility on the issue. On the other hand, it makes sense for Mayes to encourage volatile prices, as they seem to make him more money. His dislike of Ethereum isn’t totally unfounded however, as the coin has dropped 79% since it’s highest peak. BraveNewCoin blames technical doubts, people dumping ICOs, and market cycles as all possible reasons for Ethereum’s worrisome decline. Here’s a good recap. P.S. It makes sense for Mayes to encourage volatile prices, as BitMEX just rented the world’s most expensive offices. Tribes, armies, fanatics, insults, dogmas, and a vicious battle for adherents. Should the crypto community stop fighting itself? Can it? If you haven’t already heard… we’re trying something totally new. Just last week, we rolled out our first ever giveaway – and we want YOU to have the opportunity to win. What’s the prize you ask? 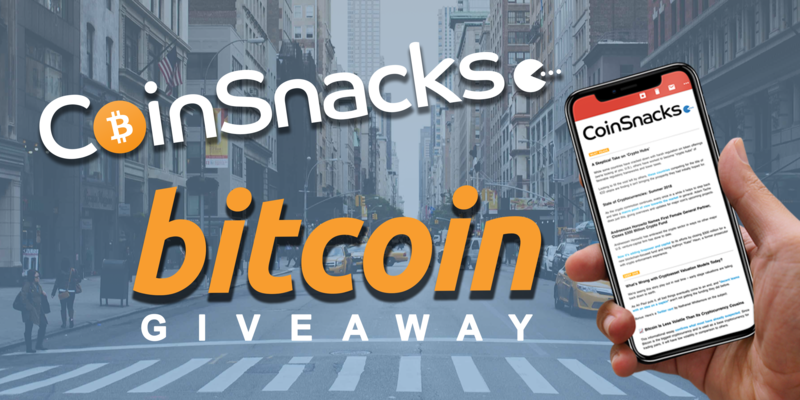 Try $100 of Bitcoin (BTC) – and all you have to do is enter. It’s really that simple. Click here for more details, and best of luck! Venezuela, if you haven’t already heard, has seen better days. Their president is ruining their economy, and their currency is being hyperinflated at an alarming rate. In Maduro’s words, he’s hoping to peg the bolivar (it’s current fiat currency) to the petro in an effort to stop the country’s inflation troubles. We’re hoping for the best, but expecting the worst. In twin orders published within the hour, The Securities and Exchange Commission (SEC) has issued rejections to bitcoin exchange-traded fund (ETFs) proposals from both ProShares and Direxion. 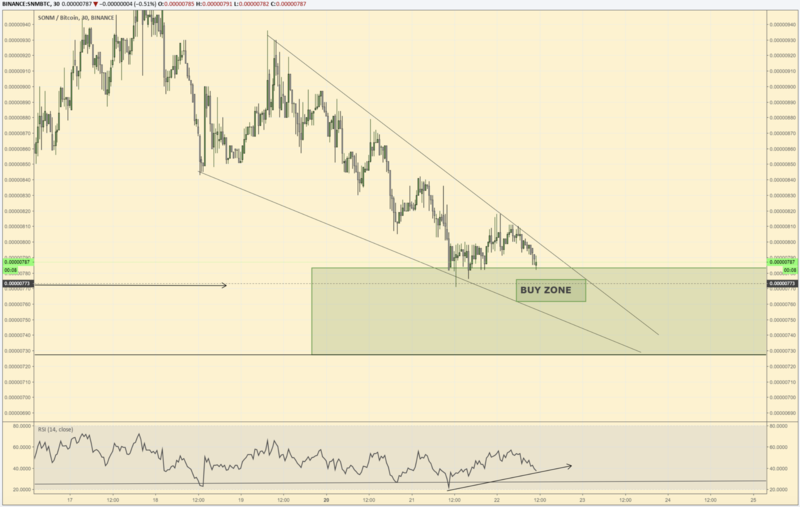 We are currently sitting in the buy zone for SONM (SNM). We don’t recommend entering higher than 0.00000780. As SNM has been increasing in volume and with their MVP launching soon, we see now as a good entry point. Before there was Satoshi Nakamoto, there was David Schwartz: Ripple’s CTO invented a distributed computer system 20 years before blockchain. Here’s his story.